Some titles that didn't quite make my numerated list but are nonetheless films I will see in 2014 include: The Amazing Spider-Man 2, Annie, Bad Words, Big Hero 6, The Boxtrolls, Chef, Deliver Us from Evil, Dom Hemingway, Draft Day, Enemy, Exodus, A Fantastic Fear of Everything Non-Stop, Fury, Gone Girl, Grand Piano, Hide Your Smiling Faces, The Hunger Games: Mockingjay Part 1, The Interview, The Judge, Jupiter Ascending, Knights of Badassdom, The Maze Runner, McFarland, Neighbors, Noah, Paddington, The Quiet Ones, St. Vincent, Tammy, This is Where I Leave You, Transcendence, Tusk, Under the Skin, X-Men: Days of Future Past, and 22 Jump Street. Director Gavin O'Connor got my attention with "Warrior" in 2011. Now he has a western on his hands co-written by the Anthony Tambakis (who wrote Warrior). 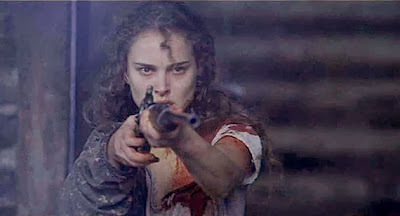 Even better this is a western centered around a woman, and not any woman, Natalie 'freaking' Portman. Portman is an exceptional actress and I am foaming at the mouth thinking about her in a gritty western. Okay, not really foaming because that would mean I had rabies or was having a seizure, but I am tremendously excited for a film I have only read a synopsis for and seen one image. "Jane Got a Gun" has an official release date of August 29th, 2014. Director Joe Carnahan makes movies I like. It is that simple. His latest see's a slew of actors I enjoy in a story line tailor made for Carnahan's aesthetics. The story follows a chauffeur who is in need of a big payday so he takes on a risky job for a billionaire. Patrick Wilson is playing the chauffeur and Chris Pine the salacious billionaire. Think of Michael Mann's "Collateral" on crack. Ed Helms, James Badge Dale, Jessica Alba, and Ray Liotta round out the action-comedy's cast. No preview has been released as of yet, but like I said, the director alone is enough for me to be impatiently awaiting the release of "Stretch" in theaters March 21st, 2014. This a reboot that has been talked about for awhile and frankly I never really had much interest. You see, I still have a bad taste in my mouth from the last time a U.S. movie studio tried to tinker with the Japanese mega-monster, I'd bet Matthew Broderick does too. 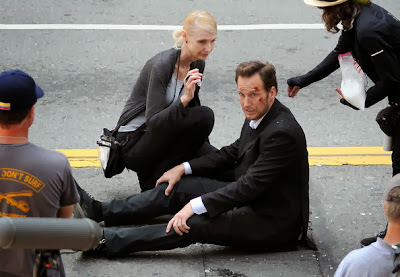 Then Lionsgate hired "Monsters" director Gareth Edwards. Anyone who has seen Monsters should realize this hiring was nod by Lionsgate as to how this property was being treated. In other words, hiring Gareth Edwards assured Godzilla fans Lionsgate was taking care with this iconic beast and not just turning out another pile of radioactive rubble. Attendees at last year's Comic Con in San Diego raved about footage shown and recent teaser eludes that Lionsgate just may have pulled off a well put together reboot. Fingers crossed. "Godzilla" opens nationwide May 16th, 2014. Alright, you caught me, I cheated. I put two movies in one spot on this list. At least they are both Marvel movies, but honestly reasons for interest in these two titles couldn't be further apart. Captain America is one of my favorite Marvel Universe heroes, and I am really interested to see how Marvel continues to use him in a post "The Avengers" timeline. 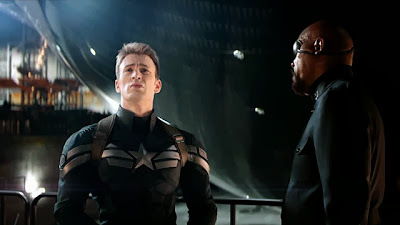 It is easy to use Cap back during the hey day of patriotism in World War II, but far more engaging to keep him current in today's modern setting where America isn't the beacon it once was. I have a few reservations with what appears to be a really boiled down good guy versus bad guy sequel, that said, at least for Cap fans the bad guy is Winter Soldier. "Captain America: Winter Soldier" releases worldwide April 4th, 2014. On the other hand you have Marvel's first real attempt in an all-out space adventure. They've teased space in "Thor," "The Avengers," and "Thor 2," but audiences are going to see something totally different and I am truly excited to see how it works out. 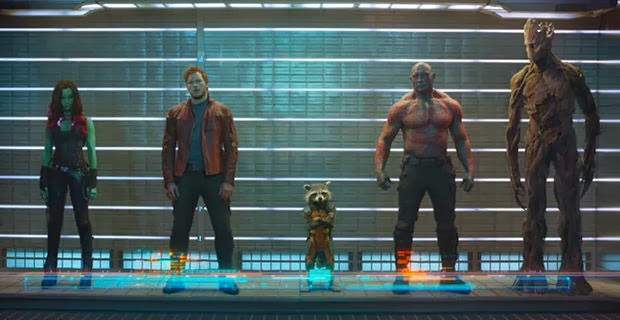 First off, Marvel made a big move hiring an independent filmmaker James Gunn to helm their riskiest release. A move I hope that really pays off for everyone involved. I am a fan of Gunn's prior work and think he's gonna be a big name after this film releases. James Gunn isn't the only one who could benefit from "Guardians of the Galaxy" release, funnyman Chris Pratt most known for his role on NBC's Parks and Recreations, should blow up in a big way. Outside of a tease in "Thor 2" general audiences have not yet had a glimpse of the 'Guardians' but from the buzz that came from San Diego Comic Con last July, this scifi super hero team-up will be out of this stratosphere. 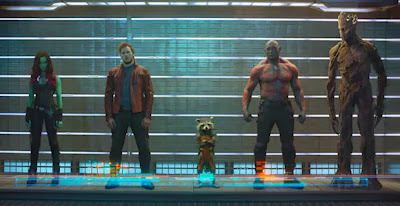 "Guardians of the Galaxy" releases worldwide August 1st, 2014. My hopes for this biography might be too high. Diego Luna is someone working in Hollywood I respect. He's earned it in front of the camera through powerful portrayal after powerful portrayal as an actor. Behind the camera, he's used his influence and wealth as a producer to benefit others working in the industry in a good way. Now he's making a biopic about one of the most important Mexican Americans in United States history and as a high school history teacher working in a Hispanic community, I'm pumped to see the result. 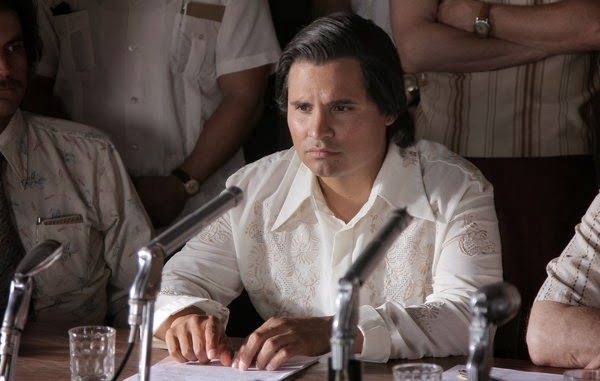 Even better Diego Luna cast the phenomenal Michael Peña to play Cesar E. Chavez. Peña has been a powerhouse of a supporting actor for years. Hopefully he'll be earning the acclaim he deserves. Overall, director Diego Luna looks to have made a very heroic account of Cesar Chavez work towards farm workers and civil rights in the United States that will hit all the right emotions for audiences. "Cesar Chavez: An American Hero" opens March 28th, 2014. David Ayer. Arnold Schwarzenegger. Do I really need to say more? Ayer has been playing in the crime-drama sandbox for a long time and he's shown some true growth and refinement over the years. Schwarzenegger has been looking for a film audiences can really enjoy since his return to cinemas and I'm hopeful this is it. Personally, I hate Arnold Schwarzenegger. He screwed up California in a big way while he was the governor and I don't know that I will ever get over that. The damage he did to our public education system alone, ugh, okay this is a most anticipated list not a soapbox for how Schwarzenegger has created a burden for parents, students, and educators in California. 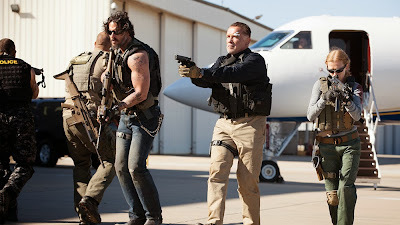 Point is, I want to go to see Arnold Schwarzenegger at the movies and just enjoy him on screen, forget about all his off-screen antics and I'm really hoping "Sabotage" is the first film since his return to do that. "Sabotage" looks full-throttle and just up my alley. If Ayer can hit anywhere close to the strides he had in "End of Watch" with Schwarzenegger and crew, this has the potential to be one for the shelf. "Sabotage" opens nationwide April 11th, 2014. A couple friends of mine already have this movie in their Top 10 from 2013 so I had to include it in my 14 Anticipated for 2014. How do they already have it in their Top 10 from last year you ask? Film festivals. "Cheap Thrills" has been making the film festival rounds since it debuted March of last year at Austin's South by Southwest Film Festival. At each stop, lots of buzz. The kind of buzz that makes me want to see this film very very badly. As for the movie, it is the debut film by director by E.L. Katz and stars the great Pat Healy along with Ethan Embry, and Amanda Fuller as willing contestants in a raunchy game that sees a rich couple (played by Sara Paxton and David Koechner) give money for a series of escalating tasks. This is guaranteed to be dark entertainment, the kind of stuff that isn't for general audiences. It sounds twisted and I'm dying to see it. "Cheap Thrills" opens in limited release March 21st, 2014. Few franchises get me as giddy as the 'Step Up' films do. These films remind me of the simplest joy in going to the movies, escapism. These films are loaded with high-energy dancing that is appealing and highly re-watchable. The stories have always tip-toed through tedious romance but made up for it with characters, that over the course of four films, fans have grown to love. Similar to the 'Fast and the Furious' franchise. Actually what has worked so well for the last two 'Fast & Furious' films is the team-up aspect and "Step Up: All In" steals from that formula. The fifth film in the franchise sees all-star members from the previous films come together for a battle in Las Vegas that could define their careers. Roll call for returning characters; from Step Up 2: The Streets, Step Up 3D, and Step Up Revolution we have Moose (Adam Sevani), Jenny Kido (Mari Kido), and Hair (Christopher Scott), from Step Up 3D and Step Up Revolution we have tWitch (Stephen Boss) and Vladd (Chadd Smith), from Step Up and Step Up 3D we have Camille (Alyson Stoner), from Step Up 2: The Streets and Step Up 3D we have Monster (Luis Rosado), also returning are Andie (Briana Evigan) from Step Up 2: The Streets, The Santiago Twins (Martin and Facundo Lombard) from Step Up 3D, plus Sean (Ryan Guzman) and Eddy (Misha Gabriel Hamilton) from Step Up Revolution. Yup, we are missing Tyler (Channing Tatum), maybe he'll make it back for six? "Step Up: All In" releases nationwide July 25th, 2014. It would appear that 20th Century Fox is taking very good care with its the Planet of the Apes franchise. 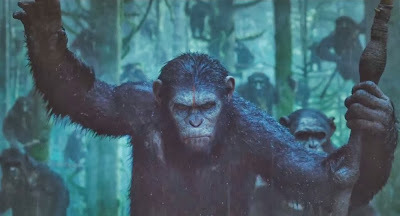 They had a successful reboot in 2011 that audiences generally enjoyed in "Rise of the Planet of the Apes." Fox didn't rush and try to get the sequel out as quickly as possible, instead they took their time. Hopefully making for a good script and a plan for the future of this series. Fox went out and hired the able Matt Reeves following Rupert Wyatt's exit. Reeves is a big reason I still have a lot of faith this sequel will be worth its weight. The sequel is set ten years after the events of 'Rise,' where a group of survivors are threatened by the growing nation of genetically evolved apes led by Caesar. Fox has begun its promotion of the film and it has already worked its magic on me. 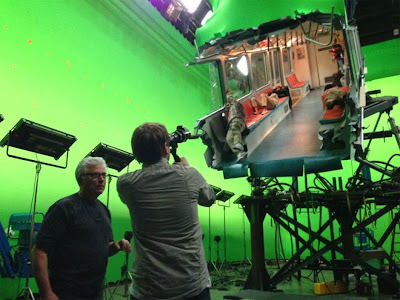 Having seen the teaser trailer, I'm fine not seeing anything else until I am sitting in a darkened theater watching "Dawn of the Planet of the Apes" play out on July 11th, 2014. Back in 2010 director Michael Winterbottom released a British television series titled "The Trip." It consisted of six episodes about two estranged friends on a working road trip reviewing restaurants throughout the UK. Six reviews of six restaurants. The series was later edited into a feature length comedy that I adore. Actually, I love both the series and the movie. Mainly because I am a big time fan of comedians Steve Coogan and Rob Brydon. Each on their own is hilarious, together, they make for the kind of prolonged laughter that causes your sides to hurt. In other words, they are kings of comedy. Now four years later, Winterbottom is back and this time we are set to tour through Italy reviewing six more restaurants. I can't wait. 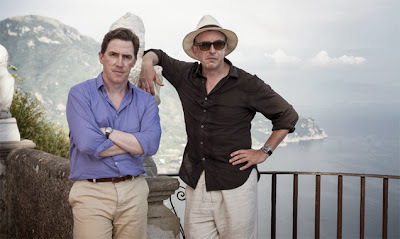 "The Trip to Italy" is set for limited release on May 16th, 2014. In 2011 "The Raid: Redemption" broke on to the scene in a big way. It debuted at the Toronto International Film Festival and buzz quickly spread. Soon this edge-of-your-seat crime thriller following an Indonesian S.W.A.T. team in a tenement run by a ruthless mobster was on everyone's must watch list, and for good reason. It is one of the best martial arts releases of some time. Now its sequel is here and it looks blow-for-blow like an all out assault on our eyeballs. Gareth Evans returned to write and direct the follow-up and the result looks to be just as intense and ground-breaking as its predecessor. 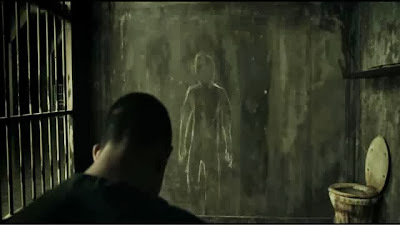 Fans of martial arts take note, "The Raid 2: Berandal" opens March 28th, 2014 in the states. Paul Thomas Anderson continues to be one of my favorite directors. Each and every film he makes I eagerly await. He's one of those working directors that I don't even need to know what the film is about, just that he's making one. Yup, he's earned it too. His worst film is better than most director's best. 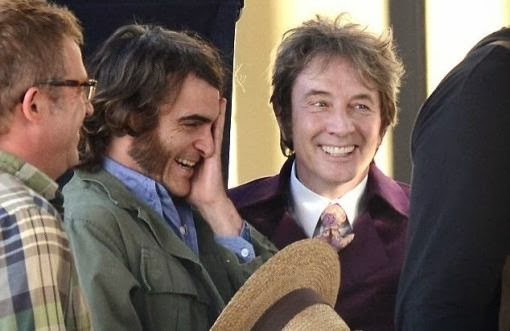 Anderson is working again with Joaquin Phoenix and the setting is L.A. during the 1970s. Phoenix is playing Larry "Doc" Sportello, a drug-fueled detective investigating the disappearance of a former girlfriend. The screenplay penned by Anderson is based off a Thomas Pynchon novel of the same name. Also in the cast are Jena Malone, Josh Brolin, Reese Witherspoon, Owen Wilson, Benicio Del Toro, Martin Short, and Maya Rudolph. "Inherent Vice" is unfortunately the only film on this list without a set release date but is sure to see release within the calendar year. Christopher Nolan has finished his Batman trilogy and is free to make whatever he chooses without the ever so scrupulous eyes of comic book fans. Well, Nolan is such a talented director he will continue to be highly watched and wondered about. That's what happens when you are that good. People use your talent as a watermark for others to reach. Regardless, without the cowl of Batman he's freed up some weight off his shoulders. Luckily for us, Nolan still wants to wow us, and I am ready for him to do so. I have been thoroughly engaged in Nolan as his career has progressed. He's a talent I love watching not only because of his imagination but also his drive to use certain mediums effectively. He's one of the big Hollywood directors out there trying to create the lore of going to the movies, not sitting at home and streaming them. I am not taking away anything from independent or small budget revival as of late, because it is something to herald, but Nolan is fixated on bringing the masses to the cinemas to see the spectacle he can create. 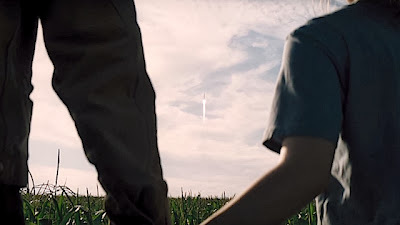 Nolan's vision is majestic and I can't wait to see what he's cooked up with "Interstellar" when it opens November 7th, 2014. Like Paul Thomas Anderson or Christopher Nolan, each new film by Wes Anderson I am eager for. Usually before they are even announced. I'm still savoring "Moonrise Kingdom" but I have been wondering what Mr. Anderson's next project will be. Hell I'm already wondering what he will do after this film. Like a good friend, we know what to expect with Wes Anderson films. He has his aesthetic and for better or worse he sticks to it. His style is either appealing or not to audiences. Rarely have I met someone who hates a Wes Anderson film, only to later come around and enjoy his other works, people tend to like his entire body of work or they don't. There is a trailer for this film, but I haven't watched it. Actually while compiling this list I learned more about the film than I really wanted to. The simple run down, Ralph Fiennes stars as concierge at a famous European hotel in between World War I and World War II, along for his adventures is a bell hop played by Tony Revolori. Saoirse Ronan, Jude Law, Edward Norton, Tilda Swinton, Jason Schwartzman, Owen Wilson, Adrien Brody, Willem Dafoe, Jeff Goldblum, Harvey Kitel, and Bill Murray round out the cast. "The Grand Budapest Hotel" releases March 7th, 2014. So there's 50 titles in 2014 I really want to see. I'm sure this list will balloon as the year progresses with multiple film festivals, further independent and studio titles finding release dates but for now, this is it. What are you most excited for in 2014?